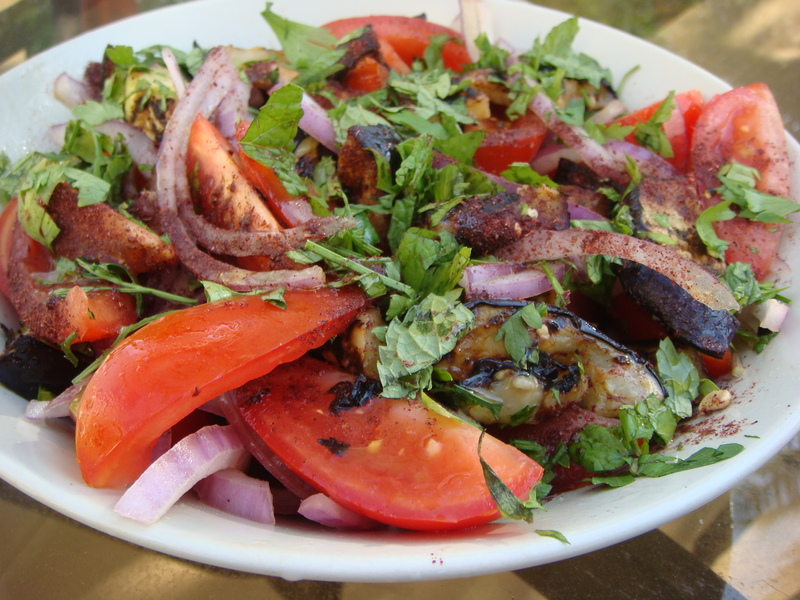 An eggplant salad flavoured with sumac. A delightful lemon tang to these salad influenced from my time in the Middle East. I loved, loved, loved this dish as it ticked all my boxes, looked pretty, easy to make and tasted yummy. Sumac is a spice used in many Middle Eastern dishes and has a lovely mild lemony flavour. 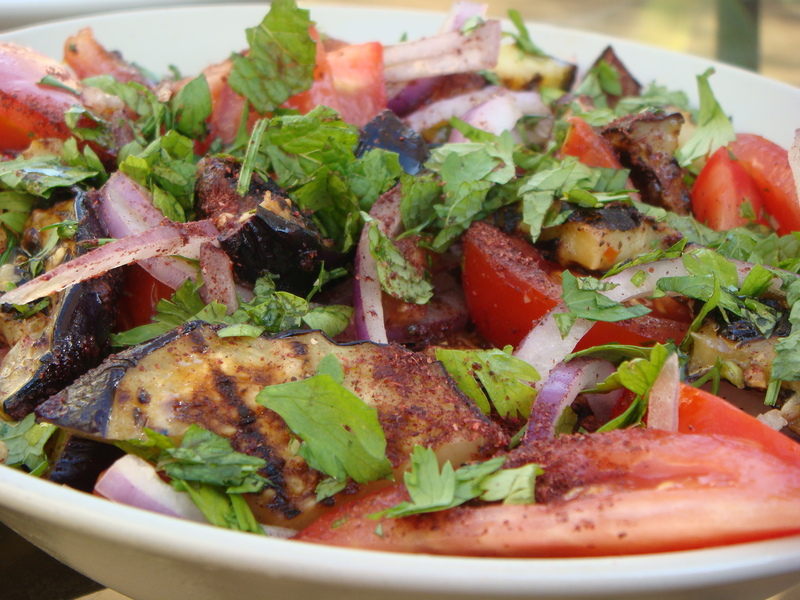 It is used on Fattoush salad too. One of my Lebanese colleagues tells me he sprinkles sumac on his eggs in the morning which I must try as that sounds yummy. 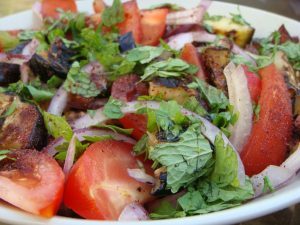 Although I cooked this dish on the bbq as part of the joy of living in a warm country, you could make this by cooking the eggplants on a griddle pan or under the grill. Recreate the flavours of summer on a wet and windy day! If you don’t have sumac you could simply use lemon rind and lemon juice for the zesty flavour of this salad. It’s what I do when I having a little sulk about not being able to get any sumac. It’s not quite the same, but it will do! Put the eggplant in a colander and sprinkle with salt to draw out the bitter juices. Leave for about 30 minutes, then rinsh and pat dry. Brush the slices with olive oil and chargrill on a bbq on medium heat for about 5 minutes until they are golden brown on each side. Cool slightly and cut in half. Put the tomatoes, onions and eggplant in a bowl. Add the herbs and sumac and mix well. Mix the lemon juice and olive oil together then drizzle this over the veggies. I love it! 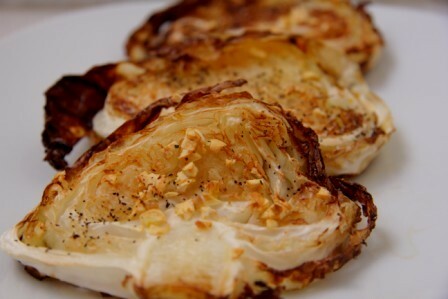 Fried, grilled, in a dip – yum! yaaaay for aubergine!! Thank goodness there are foodies out there who appreciate the vegetable! Never tried it with sumac, this recipe is going down in my list of things to try!